One of the main priorities of Cardiff and Vale UHB’s arts programme is to improve the environments in which our patients live and are treated during their time in secondary care. In doing so, we are also improving the work environment for our staff. This is a continuous, ongoing campaign and there are always new projects on the horizon. By using art, we are able to create more stimulating and more supportive environments. Arts can play a role in everything about a space: architecture, art on the walls, the flow of natural light, the inclusion of nature, and the sound you’re exposed to. The physical environments to which patients are subjected during their time in secondary care has a significant impact on the stress and mood of that patient and enhancing the environment with art can enhance patient wellbeing outcomes. The evidence from the Welsh NHS Confederation also suggests that attractive spaces improve staff job satisfaction. One of our flagship projects in this stream of work was the transfer of our adult mental health services from the Edwardian Whitchurch Hospital in north Cardiff to a state-of-the-art centre, Hafan y Coed at University Hospital Llandough. The new unit was designed with art in mind and evidence of that can be found inside, outside and around Hafan y Coed. It houses a diverse and eclectic collection of sculpture, ceramics, photographs, prints, poems and paintings which can be viewed on a circular walk around the public spaces. The artworks were commissioned from artists from all walks of life, including service users, carers and staff, together with emerging and well-established artists. There are gardens with outside sculptural seating, murals, and additional artworks can be found on the first floor. To coincide with the 100th anniversary of Rookwood Hospital in Llandaff, a number of artistic projects were commissioned to both celebrate and improve the environment of the hospital. In 2012, we commissioned and opened the Mental Health Services for Older People Unit (MHSOP) at Llandough Hospital as part of the decommissioning of Whitchurch Hospital. The new unit was created to be dementia friendly and has unique facilities designed to relax patients, make them feel at home, and evoke memories. These include a bespoke Sun Room with deck chairs, beach art and a seaside soundtrack, a lounge, a beauty salon, and a pub. The wards also have access to enclosed gardens, in which residents can grow veg and which also feature sculptures commissioned as part of the arts programme. One of perhaps the simplest but most effective ways of improving an environment in a clinical setting is to cover the walls in art and colour. Cardiff and Vale UHB is very fortunate to have a good working relationship with local artist Stacey Brass, who has recently completed murals in both Llandough and University Hospital of Wales. 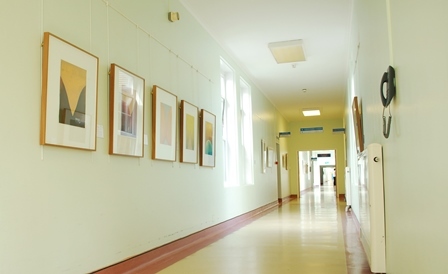 Paintings in Hospitals is a national charity working across Wales, England, and Northern Ireland. 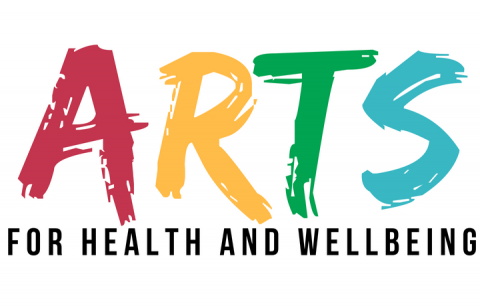 We exist to inspire better health and wellbeing, using art to enrich, uplift and empower people. Through our museum-quality art collection and hands-on activities, our mission is to transform clinical environments into engaging, reassuring and compassionate care spaces. 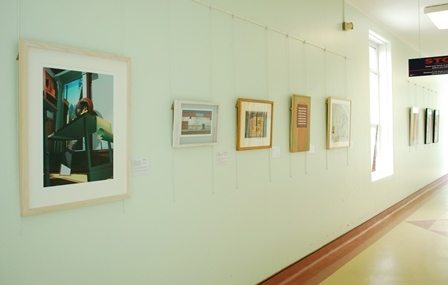 University Hospital Llandough is our regional centre for South Wales and exhibits artworks from our collection that are available for loan to other care organisations in the area. This means that the artworks on display will continually change over time. All types of health and social care organisations can borrow from our art collection, and everyone is welcome to participate in our talks, tours and workshops.